The poet whom Dante imagined guiding him through his The Divine Comedy lived from 70 to 19 BC and is considered the greatest poet of ancient Rome. His Aeneid, in fact, is the national epic of Rome. Virgil was born near Mantua, in Northern Italy. His full name was Publius Vergilius Maro. He went to school at Cremona, Milan, and Naples, then studied philosophy and rhetoric in Rome. Even in his youth, his poetry attracted the attention of powerful friends who introduced him to Octavian, the future Emperor Augustus. 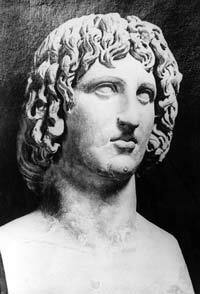 When Virgil’s farm was appropriated in 42 BC to provide bonuses for the Philippi veterans, Octavian compensated him. After he befriended Octavian, Virgil lived in either Rome or Naples. He was one of the literary men who attended the circle of Maecenas, who was a patron of literature and a secretary to the Emperor Augustus. Virgil wrote patriotic poetry at Maecenas’ suggestion, even though Virgil disapproved of centralized government. Romans revered the Aeneid in much the same way that Christians revere the Bible. Its object was to show how Rome was founded and became a great civilization according to a divine plan. Virgil also wanted people to believe, through the Aeneid, that Augustus was divinely appointed like his hero Aeneas. Virgil also wanted to tell people that Rome’s mission was to civilize the rest of the world. The first six books of the 12 books of the Aeneid are based on Homer‘s Odyssey. The rest of the books are based on his Iliad. Virgil was also inspired by Greek poems, including the Argonautica, written by Apollonius of Rhodes. But Virgil fused his influences and inspiration into an original and great epic that is still read today. The Aeneid is Virgil’s last work and was begun in 30 B.C. When he was younger, Virgil wrote the Eclogues, or Bucolics, which were poems about shepherds. These poems were imitations of Theocritus’ works. Virgil then wrote four books of Georgics, which are didactic poems that concern themselves with types of agriculture. Some works were collected into the Virgilian Appendix, but scholars believe these works were written by others. The Aeneid is written in Latin and tells the story of the wanderings of the Trojan hero, Aeneas. After Troy falls, Aeneas journeys to find a second Troy for the Trojan gods, himself, and his companions. Divine intervention finally leads him to his destination, which is Latium. During his journey across the Mediterranean Sea, Aeneas overcomes many hardships. Juno, the Roman goddess, is his enemy and creates a violent storm that swept him to North Africa, where he falls in love with Dido, Queen of Carthage. He almost abandons his mission until Jupiter reminds him of it. A sibyl guides Aeneas to the netherworld where he meets the ghost of his father, who shows him the unborn heroes who are to make Rome a great power. When Aeneas finally arrives at the Tiber River, he tries to settle down and marry Lavinia, the daughter of the King. But Lavinia’s suitor challenges him and is defeated. Aeneas is then free to be the progenitor of Romans. Virgil became ill while he was visiting Greece and died soon after he arrived at Brindisi. The Aeneid was not finished, and so Virgil asked that it be burned. But Augustus prevented the great poem from being destroyed and Virgil’s friends, Varius and Tucca, made sure it was published.